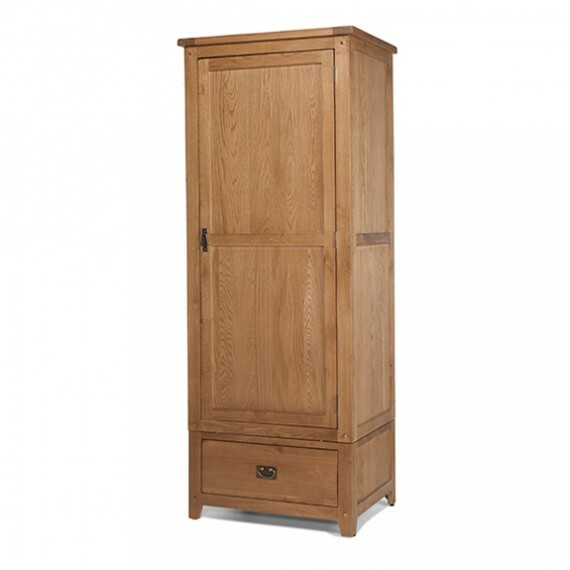 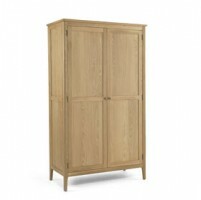 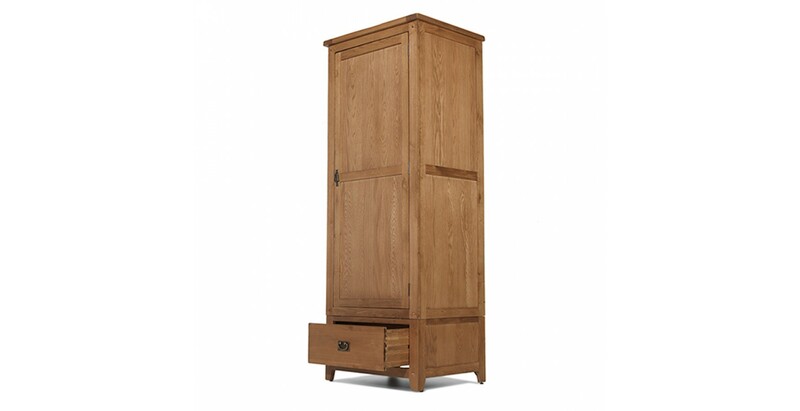 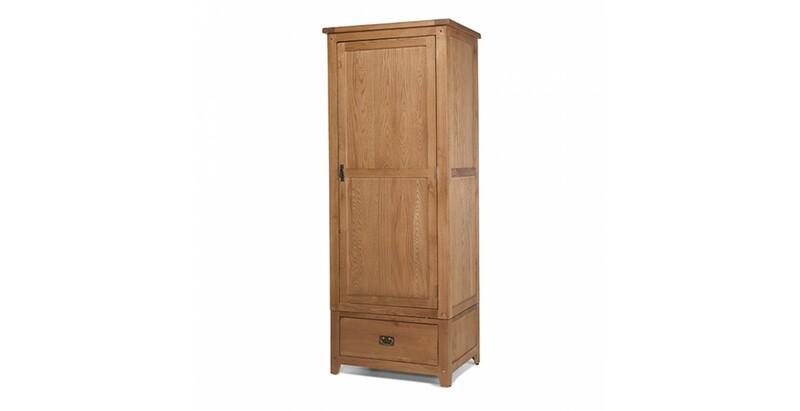 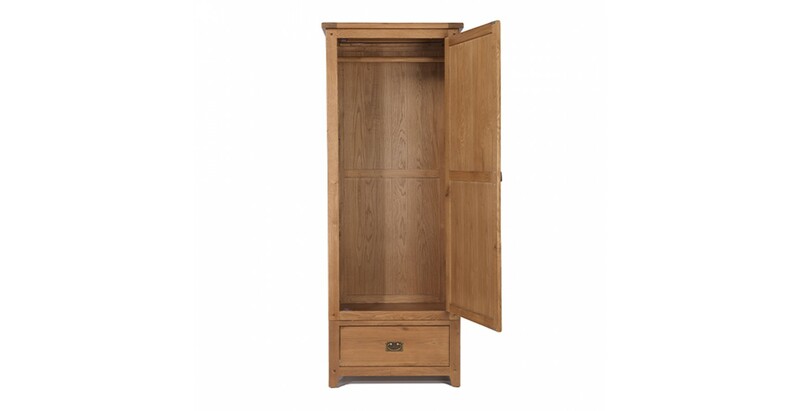 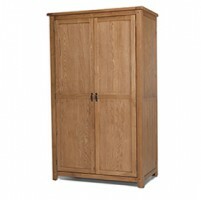 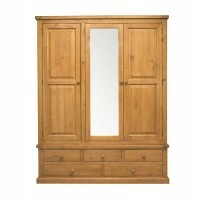 Maybe there's been one too many visits to the shops and you need a bit of extra wardrobe space in your spare room. 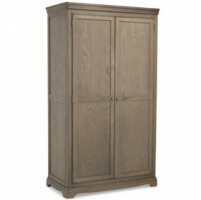 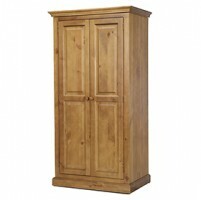 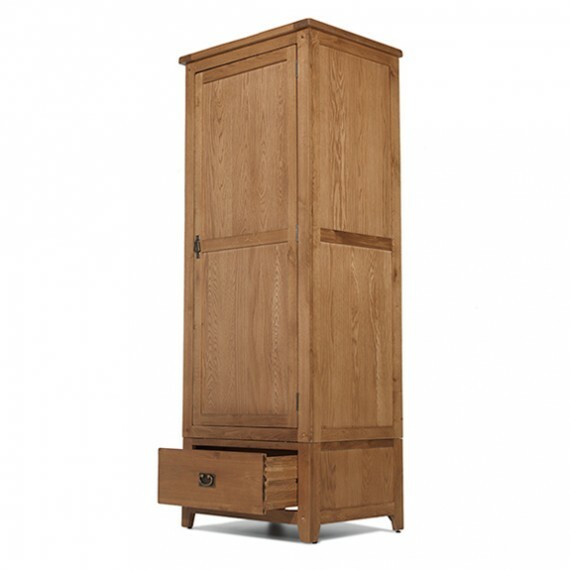 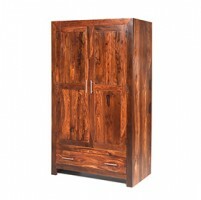 Or maybe you need a wardrobe for a child's room or a guest room. 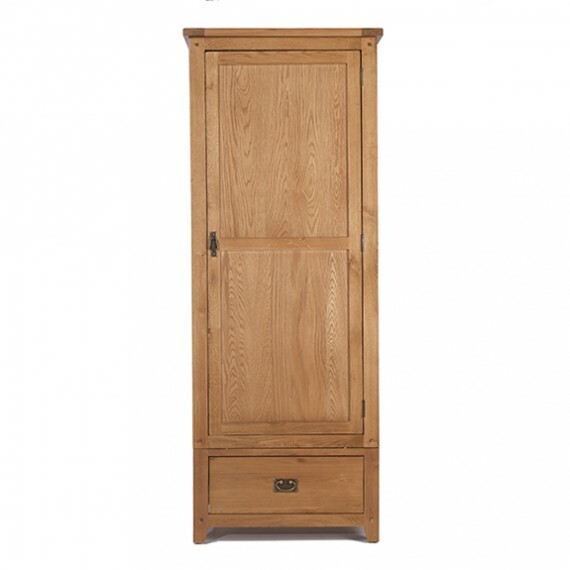 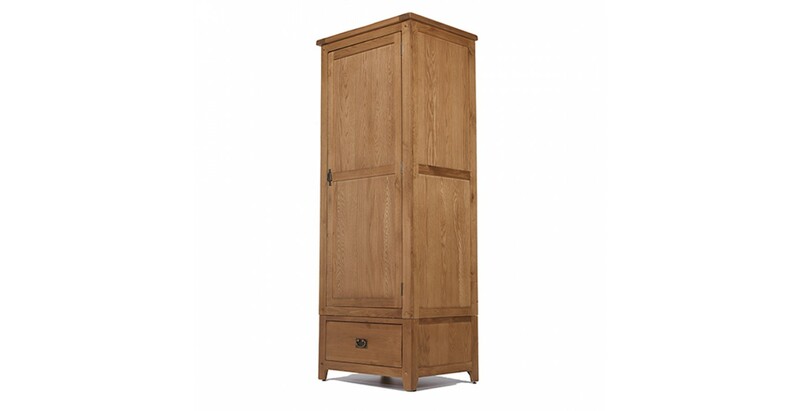 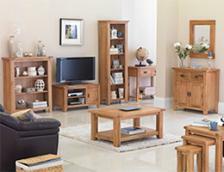 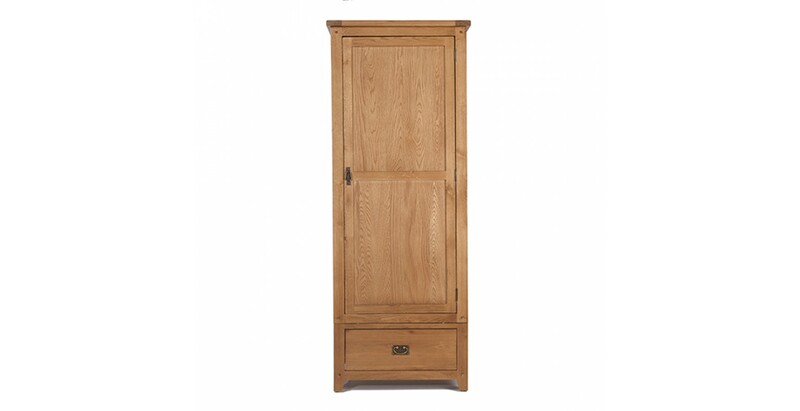 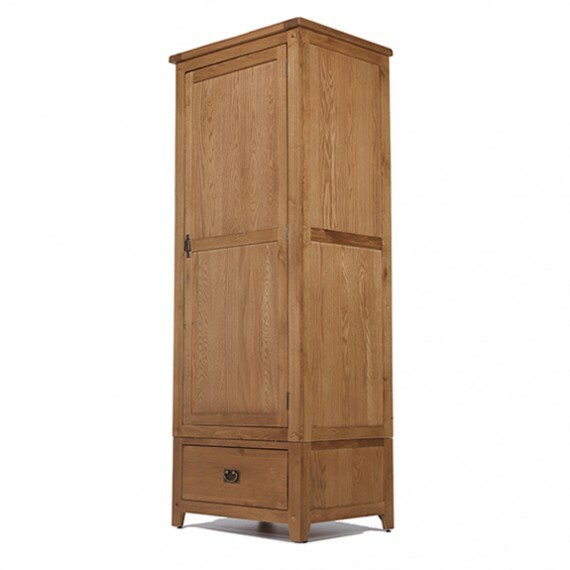 We think this lovely piece from our Rustic Oak range will fit the bill wherever you want to use it. 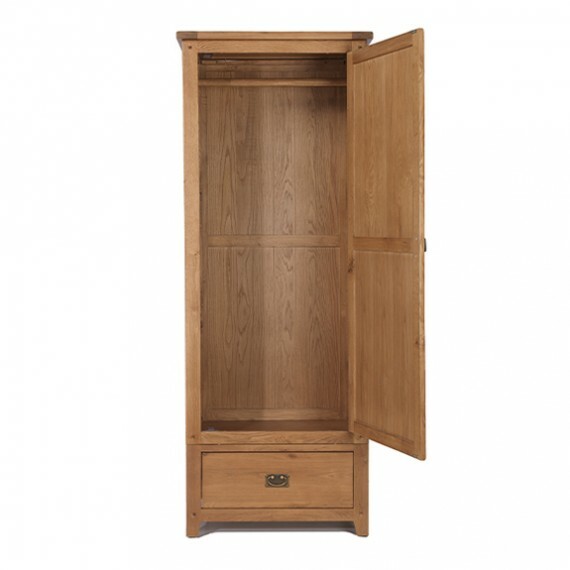 Fitting into smaller rooms and narrower spaces with ease, it offers full width hanging space behind the door and a handy lower drawer for your bulkier clothes. 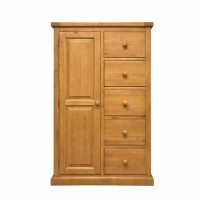 Full of country cottage charm, it has rounded-off corners, attractive peg detailing and a chunky top to add to its rustic charms and a natural lacquer finish to show off the gorgeous grain.